Psoriasis and Psoriatic Arthritis (PsA) are chronic diseases with a number of complications that, among others, may include alterations in the cardio-vascular system. The aim of this study was to evaluate the risk of Cardiovascular Diseases (CVD) in patients with psoriasis and psoriatic arthritis between the ages of 30-50. The research covered 95 outpatients and inpatients: 51 with plaque psoriasis (23 women and 28 men) and 44 with psoriasis and psoriatic arthritis (16 women and 28 men). The risk of cardio-vascular incident was evaluated with the use of the Framingham algorithm covering the age, total cholesterol, HDL cholesterol, blood pressure, the habit of smoking and diabetes. The 10-year risk of the occurrence of a cardio-vascular incident was higher in patients with psoriatic arthritis than in patients with plaque psoriasis (9,9% vs6,2%). A high risk of cardio-vascular events was observed in 35% men with psoriatic arthritis in comparison to 11% men with only psoriasis. In patients with plaque psoriasis, the increase in the risk of cardio-vascular incident was connected with the late beginning of psoriasis; whereas in the group of patients with psoriatic arthritis, the risk of cardio-vascular incident was connected with the intensification of psoriatic lesions. The patients with psoriasis, especially men with psoriatic arthritis, certainly require special medical care in terms of cardio-vascular diseases prevention. © 2018 Krajewska–Włodarczyk et al. Psoriasis and Psoriatic Arthritis (PsA) are chronic diseases of complex pathogenesis and heterogeneous clinical course with a number of complications which may include Cardiovascular Diseases (CVD). The latest epidemiological studies prove that metabolic disorders (insulin resistance, atherogenic dyslipidemia, hypertension) often co-exist with cardiovascular diseases in psoriatic patients, especially with a severe course of the disease [1,2]. The newest European consensus regarding the prevention of CVD in 2012 was developed by the European Society of Cardiology, among others, and includes psoriasis to the diseases which carry an increased risk of the development of CVD . Age, gender, smoking, hypertension, hyperlipidemia or type 2 diabetes are traditional risk factors, and obviously influence the progress of CVD. However, this also occurs in patients with psoriasis and psoriatic arthritis. Various scales were elaborated and validated for the evaluation of the total cardiovascular risk, as well as the development of the risk of defined manifestations of cardiovascular diseases (e.g. stroke, coronary artery disease) or death during the course of the disease. The Framingham algorithm is a multifactorial algorithm including age, gender, hypertension, total cholesterol, HDL cholesterol, diabetes and the habit of smoking that estimates a 10-year risk of the occurrence of myocardial infraction or death due to cardiovascular reasons . The patients with a defined high risk (i.e. 10-year risk > 20%) should constitute a group requiring intensive preventive action in the area of modifiable risk factors (hypertension, dyslipidemia, diabetes t.2). The simplicity of this algorithm enables it to be used in everyday practice and the height of the estimated risk may be a starting point in making a decision about the introduction, the type and intensity of the actions within the prevention of CVD. So far, single reports concerning a higher risk than the general population for a serious cardio-vascular incident or death in patients with psoriasis, based on the Framingham algorithm have been issued . Our research is the first study that is attempting to compare the estimated risk with the Framingham algorithm risk of cardiovascular incidents in patients with psoriasis or psoriatic arthritis. The main aim of this study was an evaluation of the risk of developing CVD in patients with psoriasis and psoriatic arthritis between the ages of 30-50. This study covered 95 people: 51 with plaque psoriasis (23 women and 28 men) and 44 with psoriasis and psoriatic arthritis (16 women and 28 men) between the ages of 30-50, treated in the Department of Dermatology and the Department of Rheumatology of Municipal Hospital in Olsztyn. The studies were performed in the years 2011-2013. Patients with chronic and severe inflammatory diseases other than psoriasis and psoriatic arthritis, such as malignancies, or severe cardiovascular incidents (myocardial infarction or stroke) were excluded. In every patient, the following anthropometric parameters were evaluated: body mass index – BMI, waist circumference, and blood pressure. During dermatological examination, the severity of psoriasis was estimated with a PASI score (Psoriasis Area Severity Index), a BSA score (Body Surface Area) and an influence on the quality of life score - DLQI (Dermatology Life Quality Index). On these bases, the degree of the severity of psoriasis was evaluated, based on the latest findings of a group of experts known as EuCOTT from 2011 [6Mrowietz U, Kragballe K, Reich K, et al. Definition of treatment goals for moderate to severe psoriasis: A European consensus. Arch Dermatol Res 2011; 303(1): 1-10. [http://dx.doi.org/10.1007/s00403-010-1080-1] [PMID: 20857129] ]. The group with mild psoriasis included the patients whose PASI, BSA and DLQI score was ≤ 10 points. Severe psoriasis included the patients with a PASI or BSA score > 10 points and a DLQI > 10 points. The laboratory tests for lipids (HDL, total cholesterol, triglycerides) and glucose were performed 12 hours after the last meal (fasting). A metabolic syndrome was recognized based on expert opinion from 2009 using the modified criteria developed by the IDF (International Diabetes Federation). Abdominal obesity (defined as a waist circumference for Europeans ≥ 94 cm for men, ≥ 80 cm for women) was not a preliminary criterion for the diagnosis, but was one of them. A metabolic syndrome was recognized if 3 out of 5 criteria were fulfilled (abdominal obesity, triglycerides ≥ 150 mg/dl or current treatment for hypertriglyceridemia; HDL < 40 mg/dl for men and < 50 mg/dl for women; blood glucose ≥ 100 mg/dl or pharmacotherapy for hyperglycemia and blood pressure with a systolic ≥ 130 and/or a diastolic ≥ 85 mm Hg or hypotensive pharmacotherapy) [7Alberti KG, Eckel RH, Grundy SM, et al. Harmonizing the metabolic syndrome. Circulation 2009; 120(16): 1640-5. [http://dx.doi.org/10.1161/CIRCULATIONAHA.109.192644] [PMID: 19805654] ]. The risk of the development of cardio-vascular diseases was evaluated with the use of the Framingham algorithm including age, total cholesterol, HDL cholesterol, blood pressure, the habit of smoking and diabetes. The evaluation calculator available on the website was used [8 http://cvdrisk.nhlbi.nih.gov/calculator.as. (access from 20th September 2017).]. Smoking was included when a patient reported smoking any amount of tobacco during the 30 days preceding the clinical assessment. For calculations, the data analysis software system STATISTICA version 9.1 (StatSoft, Inc., 2010) was used. The results were presented as the arithmetic mean, standard deviation and median. For comparative analysis among the groups, the Student’s t-test, U Mann test and Kruskal–Wallis test were used. The differences were treated as being statistically significant at p < 0,05. The groups of patients with plaque psoriasis and psoriatic arthritis were not different as far as age, the onset and duration of psoriasis, BMI or waist circumference. No vital differences in the level of systolic and diastolic blood pressures were found (Tables 1 and 2). In patients with psoriatic arthritis, a significantly higher level of cholesterol and triglycerides in comparison to patients without arthritis was revealed (Table 3). No essential differences in the parameters of glucose were found. Analyzing the qualitative occurrence of traditional factors of the risk of ischemic heart disease in the group of people with arthritis showed that lipid disorders (hypertriglyceridermia, hypercholesterolemia, decreased HDL), and hypertension were more frequently present; whereas, hyperglycemia or a smoking habit were observed less frequently than in the group without joint involvement. A metabolic syndrome was present in 36,1% of patients with psoriatic arthritis (woman 23% and men 43.4%). In the group with psoriasis, however, the metabolic syndrome was present in 25% of patients (women and men had similar levels: 22% vs. 27%) (Table 4). Among patients with arthritis with severe psoriasis (according to the criteria of EuCOTT), lower levels of HDL cholesterol, higher levels of LDL cholesterol and higher values of systolic and diastolic blood pressure were observed in comparison with the group with psoriatic arthritis without severe skin involvement (Table 5). In patients with severe psoriasis without arthritis, we observed lower levels of HDL cholesterol (p=0.03) than in patients with mild psoriasis. Cardiac risk was estimated with the Framingham algorithm. Among all patients, the average risk was 7.3%. The risk of cardio-vascular incident grew with the age (p=0.043) and the time of psoriasis onset (p=0.03). In the group with psoriatic arthritis, the risk was 9.9% on average and it was significantly higher than in the group with psoriasis 6.2%, (p=0.04). Ten men with psoriatic arthritis (35%), 3 men with psoriasis (11%) and no woman had a high risk of CVD. The intensification of psoriatic lesions in patients with psoriatic arthritis was connected with a high risk of heart attack or death due to cardiac reasons (according to the Framingham algorithm). In patients with psoriatic arthritis and severe psoriasis, the risk was estimated at 13% vs. 6.1% in the patients with psoriatic arthritis with mild skin lesions (Table 5). In patients with psoriasis without joint involvement, grouped according to the severity of skin lesions, no significant differences in the estimated risk were found. Anthropometric parameters and blood pressure in the group of patients with PsA and psoriasis (PsO). The results are presented respectively as an average, standard deviation and median. The characteristics of the groups of patients with PsA and psoriasis (PsO). The results are presented respectively as an average, standard deviation and median. Lipid profile and glucose concentration in the group of patients with PsA and psoriasis (PsO). The results are presented respectively as an average, standard deviation and median. The qualitative occurrence of traditional risk factors of cardiovascular disease. The differences in the lipid profile, glucose concentration, blood pressure and the estimated risk of cardio-vascular diseases in patiens with psoriatic arthritis grouped according to the severity of skin lesions. The co-existence of metabolic disorders, CVD and psoriasis is more often noticed and documented [1Kimball AB, Szapary P, Mrowietz U, et al. Underdiagnosis and undertreatment of cardiovascular risk factors in patients with moderate to severe psoriasis. J Am Acad Dermatol 2012; 67(1): 76-85. [http://dx.doi.org/10.1016/j.jaad.2011.06.035] [PMID: 22018756] , 2Mehta NN, Azfar RS, Shin DB, Neimann AL, Troxel AB, Gelfand JM. Patients with severe psoriasis are at increased risk of cardiovascular mortality: Cohort study using the general practice research database. Eur Heart J 2010; 31(8): 1000-6. [http://dx.doi.org/10.1093/eurheartj/ehp567] [PMID: 20037179] , 9Alexandroff AB, Pauriah M, Camp RD, Lang CC, Struthers AD, Armstrong DJ. More than skin deep: Atherosclerosis as a systemic manifestation of psoriasis. Br J Dermatol 2009; 161(1): 1-7. [http://dx.doi.org/10.1111/j.1365-2133.2009.09281.x] [PMID: 19500102] -13Shaharyar S, Warraich H, McEvoy JW, et al. Subclinical cardiovascular disease in plaque psoriasis: Association or causal link? Atherosclerosis 2014; 232(1): 72-8. [http://dx.doi.org/10.1016/j.atherosclerosis.2013.10.023] [PMID: 24401219] ]. According to the hypothesis of ‘psoriatic march’, psoriasis is a chronic systemic inflammatory disease. It intensifies the metabolically induced inflammation (metainflammation) and causes resistance to insulin, contributing to the dysfunction of endothelium cells and the acceleration of the development of atherosclerosis. As a result, it leads to myocardial infarction or stroke [10Boehncke WH, Boehncke S, Tobin AM, Kirby B. The ‘psoriatic march’: A concept of how severe psoriasis may drive cardiovascular comorbidity. Exp Dermatol 2011; 20(4): 303-7. [http://dx.doi.org/10.1111/j.1600-0625.2011.01261.x] [PMID: 21410760] ]. The latest data suggest that psoriasis may be connected to an increased risk of CVD development, regardless of the occurrence of traditional risk factors [2Mehta NN, Azfar RS, Shin DB, Neimann AL, Troxel AB, Gelfand JM. Patients with severe psoriasis are at increased risk of cardiovascular mortality: Cohort study using the general practice research database. Eur Heart J 2010; 31(8): 1000-6. [http://dx.doi.org/10.1093/eurheartj/ehp567] [PMID: 20037179] , 12Reich K. The concept of psoriasis as a systemic inflammation: Implications for disease management. J Eur Acad Dermatol Venereol 2012; 26(Suppl. 2): 3-11. [http://dx.doi.org/10.1111/j.1468-3083.2011.04410.x] [PMID: 22356630] -16Mehta NN, Yu Y, Pinnelas R, et al. Attributable risk estimate of severe psoriasis on major cardiovascular events. Am J Med 2011; 124(8): 775.e1-6. [http://dx.doi.org/10.1016/j.amjmed.2011.03.028] [PMID: 21787906] ]. The results of other studies do not confirm the correlation between the intensification of psoriatic lesions, evaluated with a PASI and a BSA score, and the time of duration of psoriasis with the increased risk of CVD calculated from the Framingham algorithm [5Gisondi P, Farina S, Giordano MV, Girolomoni G. Usefulness of the framingham risk score in patients with chronic psoriasis. Am J Cardiol 2010; 106(12): 1754-7. [http://dx.doi.org/10.1016/j.amjcard.2010.08.016] [PMID: 21055711] ]. The presence of a metabolic syndrome was observed in a much larger percentage of patients with psoriasis in comparison to people without psoriasis [17Sommer DM, Jenisch S, Suchan M, Christophers E, Weichenthal M. Increased prevalence of the metabolic syndrome in patients with moderate to severe psoriasis. Arch Dermatol Res 2006; 298(7): 321-8. [http://dx.doi.org/10.1007/s00403-006-0703-z] [PMID: 17021763] -19Cohen AD, Sherf M, Vidavsky L, Vardy DA, Shapiro J, Meyerovitch J. Association between psoriasis and the metabolic syndrome. A cross-sectional study. Dermatology (Basel) 2008; 216(2): 152-5. [http://dx.doi.org/10.1159/000111512] [PMID: 18216477] ]. In the course of psoriatic arthritis, the metabolic syndrome occurred in as many as 58,1% of cases [20Raychaudhuri SK, Chatterjee S, Nguyen C, Kaur M, Jialal I, Raychaudhuri SP. Increased prevalence of the metabolic syndrome in patients with psoriatic arthritis. Metab Syndr Relat Disord 2010; 8(4): 331-4. [http://dx.doi.org/10.1089/met.2009.0124] [PMID: 20367239] ]. Significantly more frequently, the metabolic syndrome was present in patients with psoriatic arthritis (38%) when compared with the control group (18%) and with the groups of patients with rheumatoid arthritis (20%) and ankylosing spondylitis (11%) [21Mok CC, Ko GT, Ho LY, Yu KL, Chan PT, To CH. Prevalence of atherosclerotic risk factors and the metabolic syndrome in patients with chronic inflammatory arthritis. Arthritis Care Res (Hoboken) 2011; 63(2): 195-202. [http://dx.doi.org/10.1002/acr.20363] [PMID: 20890981] ]. In 30 - 50% of patients with psoriatic arthritis and with atherosclerotic lesions present in vessels, neither classic risk factors nor clinical manifestation of CVD were found [22Gonzalez-Juanatey C, Llorca J, Amigo-Diaz E, Dierssen T, Martin J, Gonzalez-Gay MA. High prevalence of subclinical atherosclerosis in psoriatic arthritis patients without clinically evident cardiovascular disease or classic atherosclerosis risk factors. Arthritis Rheum 2007; 57(6): 1074-80. [http://dx.doi.org/10.1002/art.22884] [PMID: 17665475] -25Tam LS, Shang Q, Li EK, et al. Subclinical carotid atherosclerosis in patients with psoriatic arthritis. Arthritis Rheum 2008; 59(9): 1322-31. [http://dx.doi.org/10.1002/art.24014] [PMID: 18759318] ]. In our study, the groups of patients with psoriatic arthritis and psoriasis did not differ significantly in terms of age, BMI or waist circumference. Despite the lack of vital anthropometric differences, among the patients with psoriatic arthritis one could observe the following diseases more often than in the group without arthritis: hypertriglyceridemia (45% vs33%), hypercholesterolemia (48% vs35%), lower level of HDL cholesterol (48% vs29%), and hypertension (50% vs33%); whereas disorders of carbohydrate metabolism were less frequently observed (9% vs17%). A metabolic syndrome was also more frequently diagnosed among patients with psoriatic arthritis than in patients with psoriasis (36% vs25%). A special group was comprised of men with arthritis – a metabolic syndrome was present in more than 40% of people studied. The results of our study were similar to the results recorded by other authors [20Raychaudhuri SK, Chatterjee S, Nguyen C, Kaur M, Jialal I, Raychaudhuri SP. Increased prevalence of the metabolic syndrome in patients with psoriatic arthritis. Metab Syndr Relat Disord 2010; 8(4): 331-4. [http://dx.doi.org/10.1089/met.2009.0124] [PMID: 20367239] , 21Mok CC, Ko GT, Ho LY, Yu KL, Chan PT, To CH. Prevalence of atherosclerotic risk factors and the metabolic syndrome in patients with chronic inflammatory arthritis. Arthritis Care Res (Hoboken) 2011; 63(2): 195-202. [http://dx.doi.org/10.1002/acr.20363] [PMID: 20890981] , 23Gonzalez-Juanatey C, Llorca J, Miranda-Filloy JA, et al. Endothelial dysfunction in psoriatic arthritis patients without clinically evident cardiovascular disease or classic atherosclerosis risk factors. Arthritis Rheum 2007; 57(2): 287-93. [http://dx.doi.org/10.1002/art.22530] [PMID: 17330278] -25Tam LS, Shang Q, Li EK, et al. Subclinical carotid atherosclerosis in patients with psoriatic arthritis. Arthritis Rheum 2008; 59(9): 1322-31. [http://dx.doi.org/10.1002/art.24014] [PMID: 18759318] ]. In order to limit the influence of age, hormonal and postmenopausal disorders or co-existing diseases on the risk of the occurrence of CVD, the study covered people between 30 and 50 years of age. Despite the narrow age span, the 10-year risk of CVD, evaluated by the Framingham algorithm, increased together with the age of all the patients (p<0,001). Among the patients with arthritis, there was also a connection between the increase of the evaluated risk and the later beginning of psoriasis (p=0,04). It may suggest an initiating influence of certain metabolic disorders on the origin and development of psoriasis and partially confirm the results of the studies conducted by Naldi and co-authors [26Naldi L, Parazzini F, Peli L, Chatenoud L, Cainelli T. Dietary factors and the risk of psoriasis. Results of an Italian case-control study. Br J Dermatol 1996; 134(1): 101-6. [http://dx.doi.org/10.1111/j.1365-2133.1996.tb07846.x] [PMID: 8745893] ]. The correlation between the intensification of psoriatic lesions evaluated with a PASI, BSA and DLQI score (according to the criteria of EuCOTT) with the increase of the risk of cardiovascular incident occurrence or death was also evaluated. 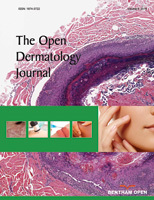 Among the patients with psoriasis, after grouping in terms of the severity of skin lesions, no essential differences were found; whereas a significant increase in the estimated risk was seen in patients with arthritis and severe psoriasis in relation to the patients with psoriatic arthritis and mild skin lesions (13% vs6,1%). This specific ‘psoriatic syndrome’ in patients with arthritis, especially in such a young group, seems to be especially important. In our own research, only about 30% of patients with dyslipidemia received medication to correct the lipid profile before the study; similarly, less than 40% of people with hypertension were using medication to control the condition before the study. In the case of psoriasis, the increased morbidity of cardiovascular diseases in comparison with the general population is well documented. This increase in the frequency of morbidity is obviously caused by conventional risk factors, including: atherosclerosis, hypertension, diabetes, obesity, lipid disorders, non-alcoholic steatohepatitis, the habit of smoking and also, among others, the increase of CRP and inflammatory cytokine concentration [25Tam LS, Shang Q, Li EK, et al. Subclinical carotid atherosclerosis in patients with psoriatic arthritis. Arthritis Rheum 2008; 59(9): 1322-31. [http://dx.doi.org/10.1002/art.24014] [PMID: 18759318] , 27Kimhi O, Caspi D, Bornstein NM, et al. Prevalence and risk factors of atherosclerosis in patients with psoriatic arthritis. Semin Arthritis Rheum 2007; 36(4): 203-9. [http://dx.doi.org/10.1016/j.semarthrit.2006.09.001] [PMID: 17067658] -30Tam LS, Tomlinson B, Chu TT, et al. Cardiovascular risk profile of patients with psoriatic arthritis compared to controls--the role of inflammation. Rheumatology (Oxford) 2008; 47(5): 718-23. [http://dx.doi.org/10.1093/rheumatology/ken090] [PMID: 18400833] ]. Systemic inflammation stimulates insulin resistance, a condition in which insulin contributes to the creation of atherosclerotic plaques. It accelerates the disorder of endothelium functions, leading to atherosclerosis and finally to the symptoms of coronary artery disease and myocardial infarction [31Giollo A, Dalbeni A, Cioffi G, et al. Factors associated with accelerated subclinical atherosclerosis in patients with spondyloarthritis without overt cardiovascular disease. Clin Rheumatol 2017; 36(11): 2487-95. [http://dx.doi.org/10.1007/s10067-017-3786-3] [PMID: 28889188] -33Santilli S, Kast DR, Grozdev I, et al. Visualization of atherosclerosis as detected by coronary artery calcium and carotid intima-media thickness reveals significant atherosclerosis in a cross-sectional study of psoriasis patients in a tertiary care center. J Transl Med 2016; 14(1): 217. [http://dx.doi.org/10.1186/s12967-016-0947-0] [PMID: 27448600] ]. Polachek et al. found that patients with PsA had a 43% higher risk of having (or developing) cardiovascular diseases compared to non-psoriatic individuals while the risk of developing an incident cardiovascular event was 55% higher in PsA patients compared with the general population. Furthermore, the risk of each of the individual cardiovascular outcomes was increased, including myocardial infarction (68%), cerebrovascular diseases (22%) and heart failure (31%) in PsA patients compared with the general population [34Polachek A, Touma Z, Anderson M, Eder L. Risk of Cardiovascular Morbidity in Patients With Psoriatic Arthritis: A Meta-Analysis of Observational Studies. Arthritis Care Res (Hoboken) 2017; 69(1): 67-74. [http://dx.doi.org/10.1002/acr.22926] [PMID: 27111228] ]. According to carotid ultrasound data, PsA patients have a high prevalence of subclinical atherosclerosis. In a recent study carotid IMT was significantly higher in patients with PsA adjusted for age and tobacco smoking than in controls [35Ibáñez-Bosch R, Restrepo-Velez J, Medina-Malone M, Garrido-Courel L, Paniagua-Zudaire I, Loza-Cortina E. High prevalence of subclinical atherosclerosis in psoriatic arthritis patients: a study based on carotid ultrasound. Rheumatol Int 2017; 37(1): 107-12. [http://dx.doi.org/10.1007/s00296-016-3617-x] [PMID: 27885376] ]. Among the patients with psoriatic arthritis, an important factor seems to be the limitation of physical activity caused by pain and disability, which is sometimes significant. In people with psoriasis and PsA, in addition to the factors mentioned above, one may add an essential psychological condition, which includes a type of depression caused in particular by stigmatization due to the skin disease. The connection between psoriasis and psoriatic arthritis with CVD seems to be very complex and multifactorial. Despite the young age of the respondents, the 10-year risk of cardiovascular incident occurrence evaluated in our study was greater in the patients with psoriatic arthritis than in the patients with plaque psoriasis. The patients with psoriasis, especially with psoriatic arthritis, undoubtedly constitute a group of people requiring special medical care in terms of CVD prevention, which requires various clinicians from different specializations [36Agca R, Heslinga SC, Rollefstad S, et al. EULAR recommendations for cardiovascular disease risk management in patients with rheumatoid arthritis and other forms of inflammatory joint disorders: 2015/2016 update. Ann Rheum Dis 2017; 76(1): 17-28. [http://dx.doi.org/10.1136/annrheumdis-2016-209775] [PMID: 27697765] ]. This may include the cooperation of dermatologists, rheumatologists, cardiologists and general practitioners. The 10- year risk of cardiovascular incident was higher for patients with psoriatic arthritis than plaque psoriasis. In patients with plaque psoriasis, the increase in the risk of cardio-vascular incident was connected with the late beginning of psoriasis; whereas in the group of patients with psoriatic arthritis the risk of cardio-vascular incident was connected with the intensification of psoriatic lesions. The highest risk was observed in the group of men with psoriatic arthritis suggesting the special need for risk factor monitoring of these patients. The study was approved by an internal ethics committee at the specialized arthritis centre and was conducted in accordance with the recommendations of the Declaration of Helsinki. (Ethics statement OIL352/11/BIOET; April 28, 2011). http://cvdrisk.nhlbi.nih.gov/calculator.as. (access from 20th September 2017). Bonanad C, González-Parra E, Rivera R, et al. Clinical, diagnostic, and therapeutic implications in psoriasis associated with cardiovascular disease. Actas Dermosifiliogr 2017.